It's not a popular opinion, but I think they could go 11-5, even 12-4. That's a tall ask for an inexperienced team with a rookie HC. If either the team or the coach had more time being what they are I'd go with you, as it is, I think they're going to lose some games due to mistakes on the part of both the sideline and the field. I'm not saying that as a knock on either Kitchens or the team, but it's the sort of thing that happens with a young team with a rookie HC, they're still figuring things out and mistakes are inevitable. Even Beliclick had this problem, so I doubt Kitchens will be immune from it. In 2-3 years though, if they can keep this young core together, I could easily see them living up to your predictions -- but probably not this year. I don't think they'll revert to the same old Browns as some folks think. Jackson was an anchor around the team's neck. With all the talent they have they should be in the mix for the AFCN unless Zac Taylor is a complete bust as HC. It's happens, if you have a franchise QB. The problem with proving this is there are so few of them around, less with rookie coaches, and almost no team with Cleveland's history. The Eagles took two seasons to go from 7-9 to 13-3 with Wentz and a new coach. Baker is now in his second year. And then there's Brady and the Patriots. How long would it have taken BB to figure things out if he started fresh with a ready to go Tom Brady? There are examples, just few, because there are so few top 5 QB's, with rookie coaches. If Baker is ready to step into this level of QB, like Mahomes, expect Cleveland to have a big year. A rookie coach would probably have gone back to Bledsoe. It's a trait of a lot of new coaches to try to lead through the leadership of the team -- IE using the team's existing leadership and leading the team through them. In 2001, that would have been Bledsoe and the defensive leaders. It takes a certain self confidence to bench a quarterback in his prime for an unproven youngster, even if that youngster has played very well. The "easy" thing to do would have been to hold onto and "develop" Brady behind Bledsoe, or look for somewhere to trade him to like we just did with Jimmy G. It's rare for a rookie HC to have the kind of experience and self assuredness to avoid doing things the easy way, especially at first. 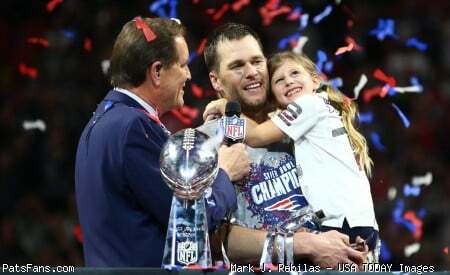 How about if it were a #1 overall draft pick ready to go Tom Brady (no Bledsoe) after a 5-11 season? Not sure but two things are clear. They have good talent now. I sure wouldn’t take Cincy, Baltimore just got gutted half of their defense. You think Pitt is taking it again despite their dysfunction? I wouldn't be shocked if Pittsburgh or Baltimore won the Division no. Most of the dysfunction will leave with Brown and Bell. Possible. I do think the Steelers are on the downside, especially Berger and the coaching. Ravens are above average as well. I think the 3 of them battle it out and 9 wins will take the division. ..........Most of the dysfunction will leave with Brown and Bell. This is a good point. Although, after thinking about it for a minute, they might need to get rid of Tomlin to truly remove the dysfunction. We've seen this story before. Dumpster fire plays well down the stretch. People get excited about big moves they made. And then....it all blows up. Mayfield did pretty good last season. But plenty of rookies have been stud's in year one. The true test is years 2 and 3. I think 9-7 can win that division so yes. Ravens wont have the defense unless they get lucky. Steelers wont have the offense unless they hit the WR and RB jackpot which is entirely possible. Im done counting on the Bengals for anything. At this point they're going to be the favorites to win the division and will actually have expectations as opposed to sneaking up on people. the steelers are really the only team standing in their way. the ravens have a running back starting in the qb position. who knows how the Bengals will do, but andy dalton... the steelers have caused the browns fits, haven't lost to them since 2014. I think they should be the prohibitive favorites.